All around the castle, from Rampe des Grottes to Place Charles-de-Gaulle, the area bears traces of the imperial period. Emile Pereire (1800-1875) and his brother Isaac created the société anonyme de chemin de fer français de Paris à Saint-Germain railway company with the help of James de Rothschild. The first railway line for travellers from Paris to Le Pecq was inaugurated on August 24th, 1837. The line joined Saint-Germain-en-Laye with the station opening for the public 10 years later, on August 14th. It was built on the site of one of Le Nôtre’s flowerbeds by Alfred Armand in 1845. The line contributed towards economic prosperity for the city and for the “Pavillon Henri IV” restaurant. Alexandre Dumas (1802-1870) was the director of the show hall nowadays on Place André-Malraux in the 1840s and had it renovated in 1846. He had very nice plays there with the best national actors, well paid by him. Next year he was made Commander of the Saint-Germain-en-Laye National Guard. The city took over the theatre in 1864; with shows such as comedy, concerts and mainly operetta. The nowadays theatre, inaugurated in 1989, bears the name of Alexandre Dumas as a tribute to the writer. 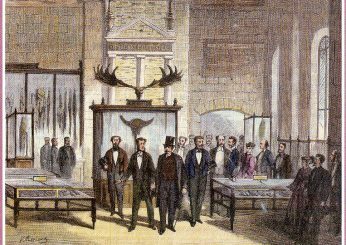 At number 1,rue Lemierre is the officers’ mess of Napoleon III imperial guard. 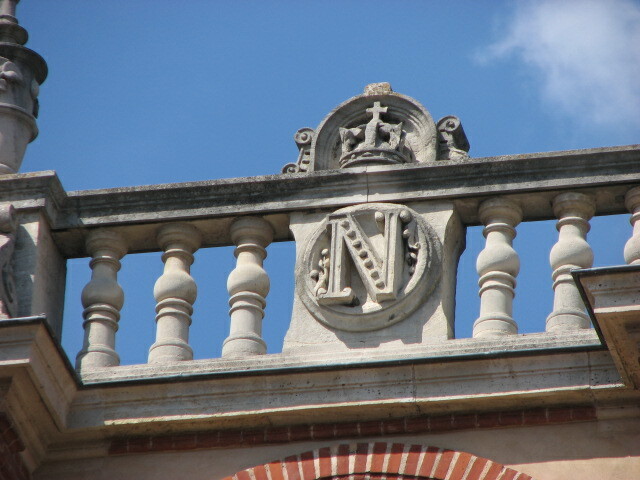 Above the entrance there is the imperial “N” inside a laurel wreath, symbol of victory and immortality. A flat was reserved for Napoleon who came there, sometimes with his half-brother Charles-Auguste, Duke de Morny. Léon Gambetta (1838-1882), lawyer, great orator, French politician, also a fervent opponent to Napoleon II and the Second Empire. He gained many titles, among which member of the national defence government in 1870 and chairman of the house of Deputies in 1879. 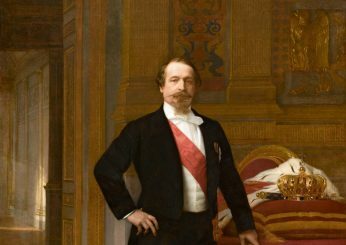 Napoleon III with Emile Pereire led an industrial policy aiming to raise France’s economic level. In 1837 he founded the basis of a phalanstère, an object based on Saint-Simon’s principles, which did not work out but was at the origin of Cité Médicis, collective and individual flats built on part of the esplanade between the Old and New Castle. A vestige of the New Castle and place of birth of Louis XIV; it also hosted many famous arts and literature people; among which Musset, Nerval, Hugo, Maupassant or Offenbach who composed there the last pages of his most famous masterpieces such as “Les Contes d’Hoffmann”. Many politicians also stayed there. Alexandre Dumas lived in one of the Pavillon hotel rooms, on the 1st floor. It was there that he wrote “The Three Musketeers” and “The Count of Monte-Cristo”. He thought that the Pavillon’s famous cook was a “comrade in culinary art” and praised his côtelettes à la béarnaise, making Pavillon Henri IV a high spot of culinary experience. One can see on the church façade a plate left by Queen Victoria (1819-1901) in honour of James II Stuart (1633-1701) during her official visit to Paris on August 25th, 1855. The Queen asked Napoleon III for a visit of the Stuarts’ exile place: the Old Castle, whose demolition was being thought of. With the Queen’s initiative, the Emperor decided to renovate the Old Castle, which was then rather dilapidated. This way the prestigious monument was no longer forgotten and became the showcase of French archaeology.